Phoenix, AZ (July 11, 2018) – Bassrush, the internationally renowned bass music brand, will be returning to Arizona on August 25, 2018 with Bassrush Massive. Presented by Relentless Beats, the one-day festival welcomed: Adventure Club; Flux Pavilion; NGHTMRE; Andy C; Herobust; SayMyName, and more for its first proper Arizona edition of Bassrush Massive in 2017. 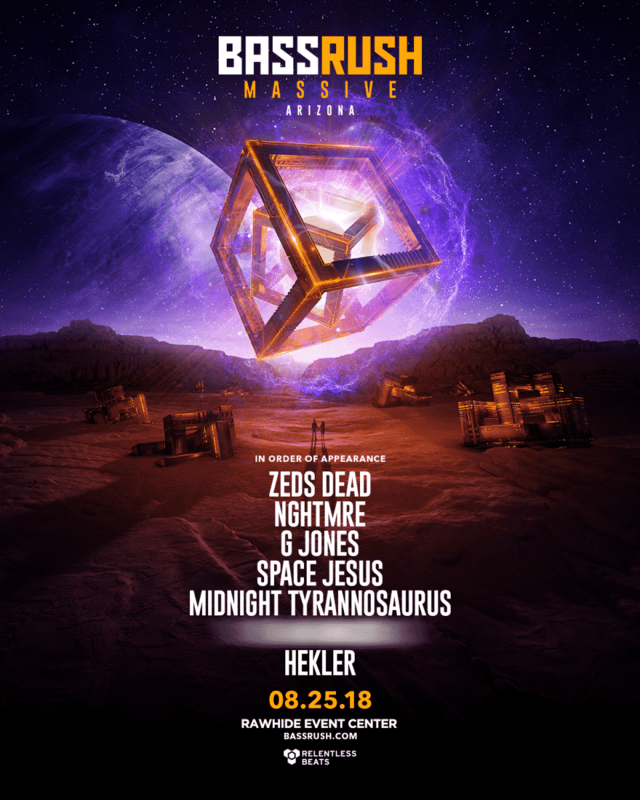 This year continues in the same bass thumping direction, featuring: Zeds Dead; NGHTMRE; G Jones; Space Jesus; Midnight Tyrannosaurus; Hekler and more to be announced.